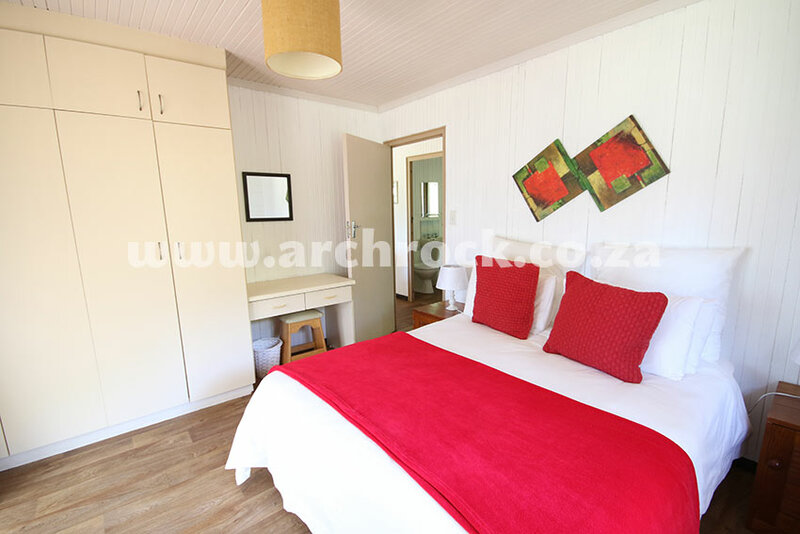 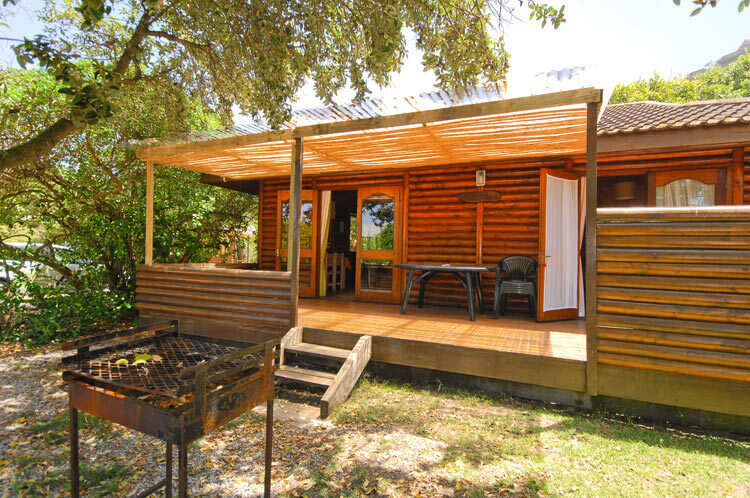 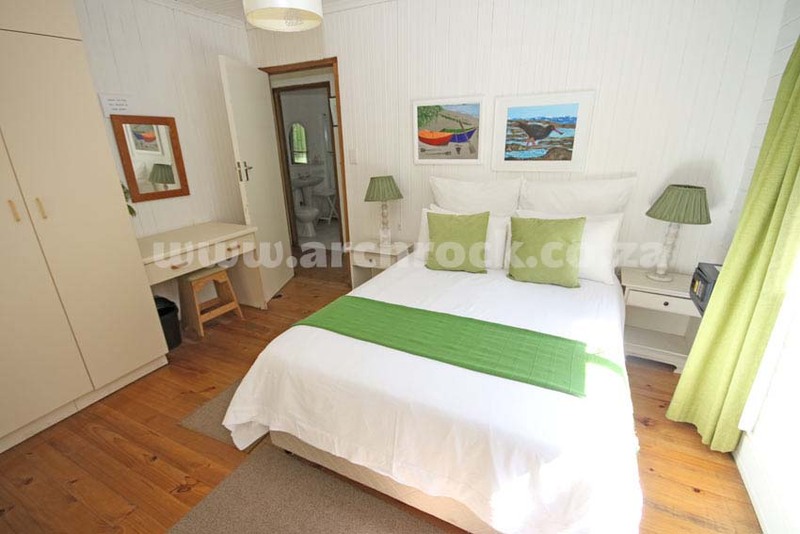 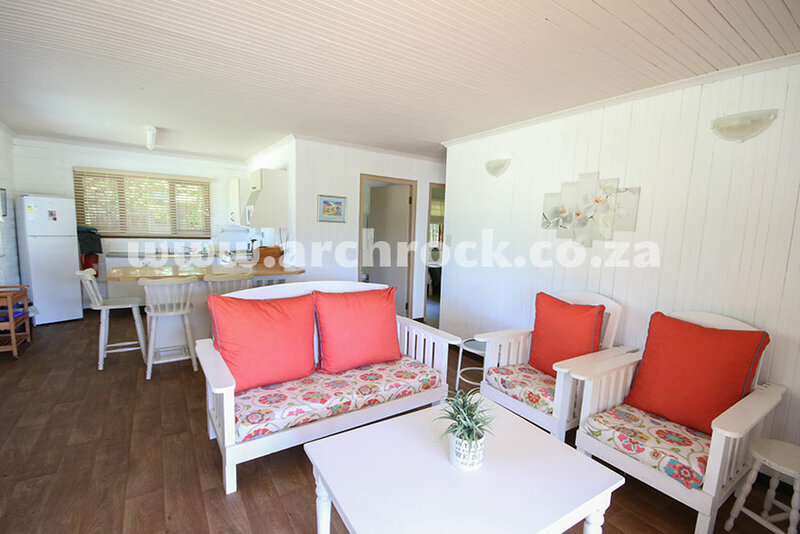 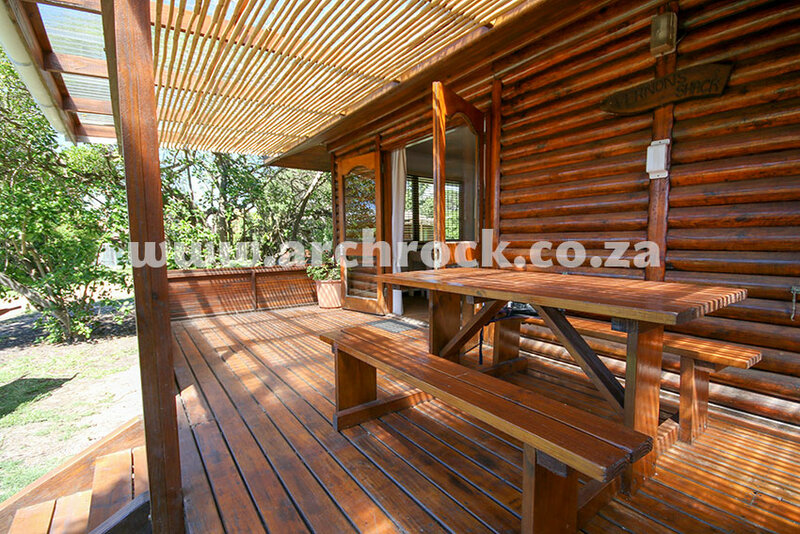 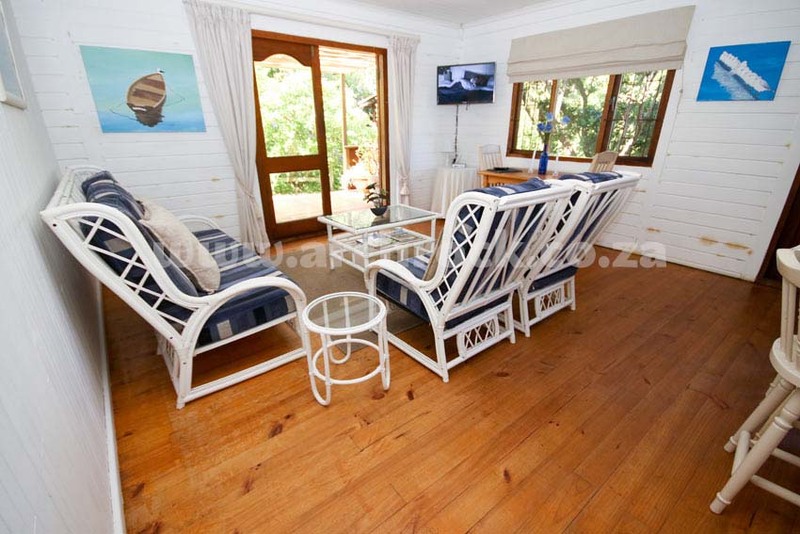 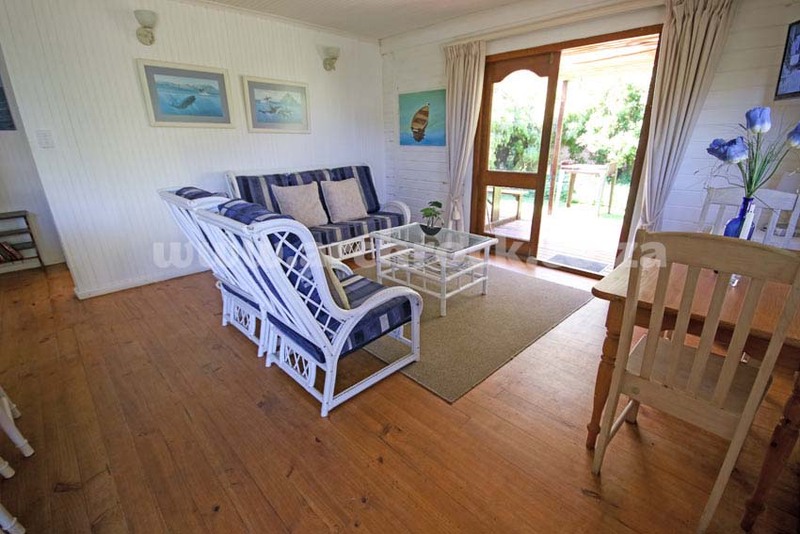 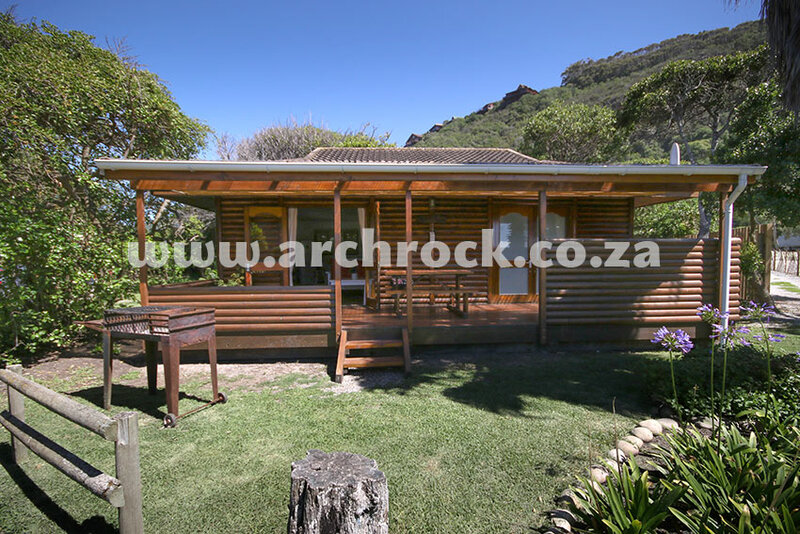 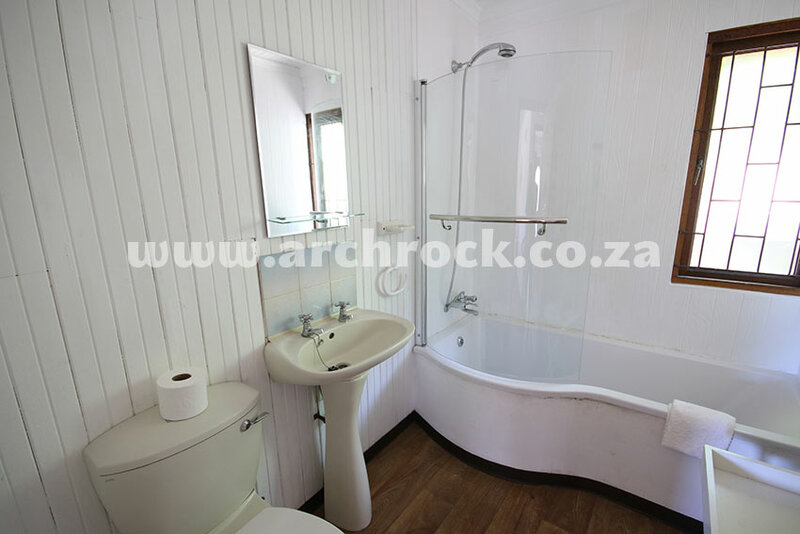 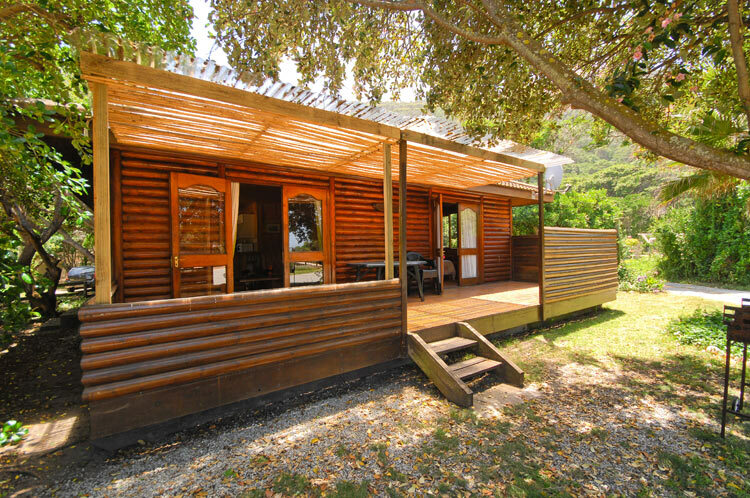 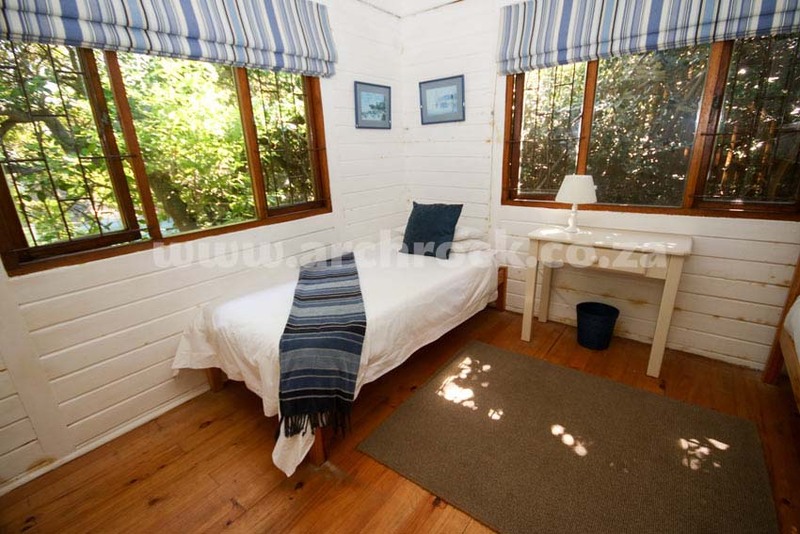 Arch Rock Plettenberg Bay South Africa - Our log cabins are snug and homely for the perfect family getaway. 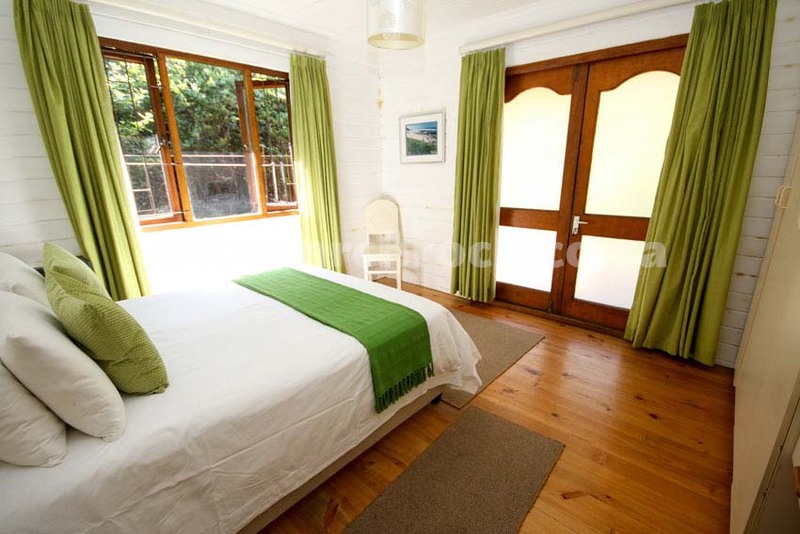 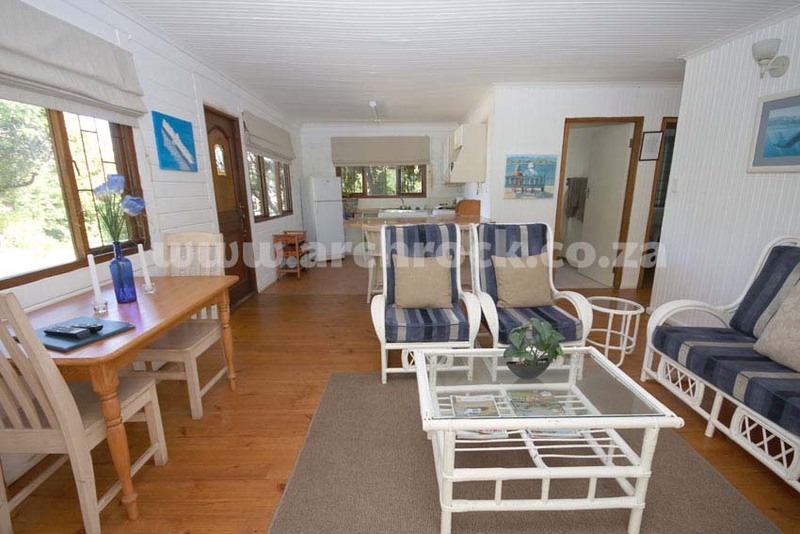 The main bedroom has a double bed and opens up onto the patio. 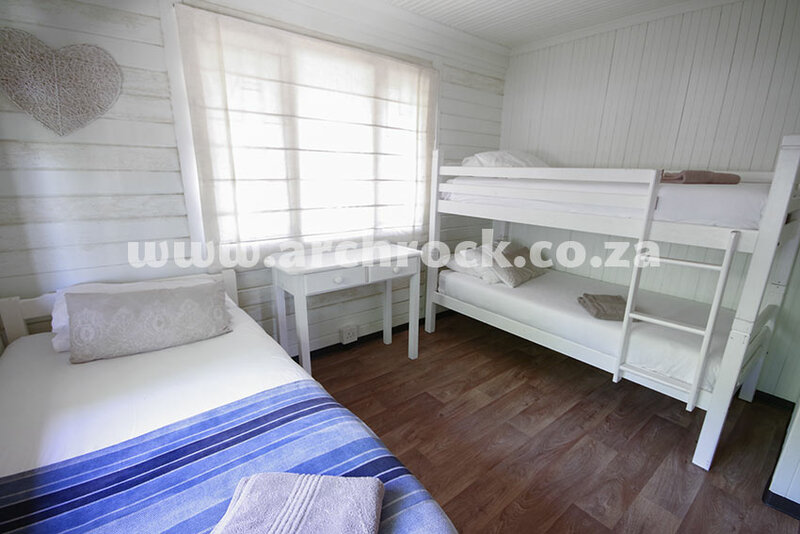 The second bedroom has a bunk bed and a single bed. 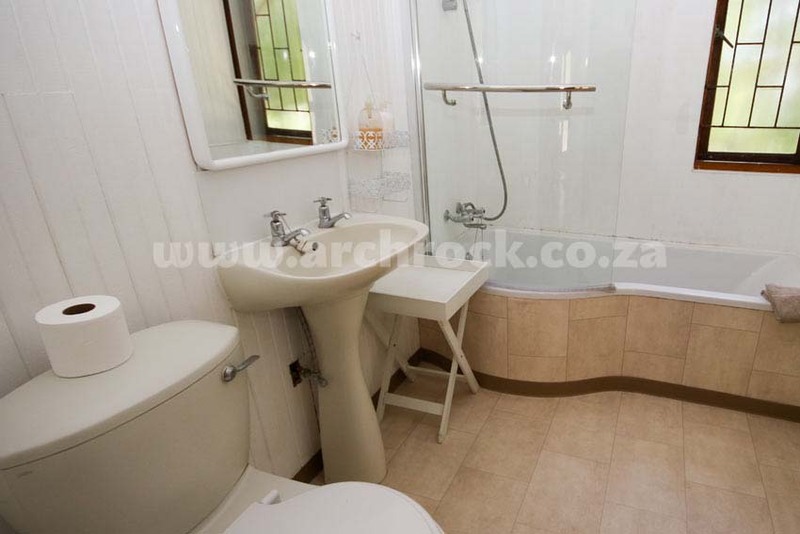 There is one bathroom with bath/shower combination. 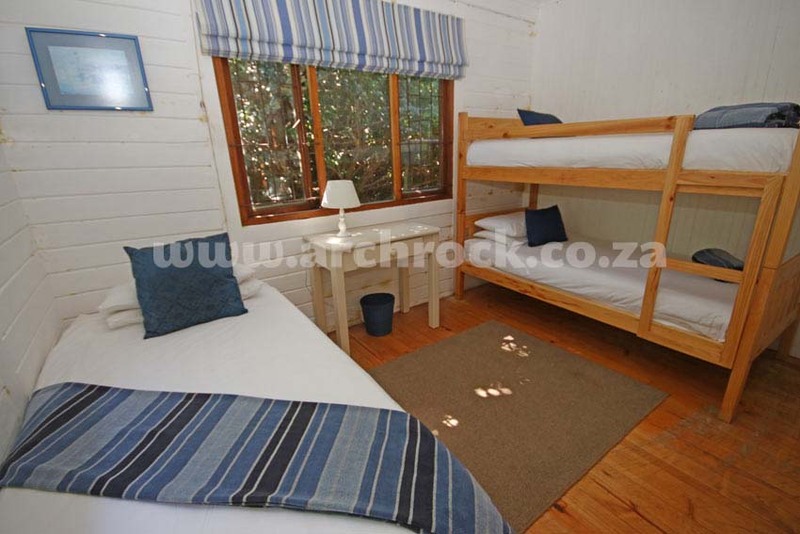 Perfect for your family holiday! 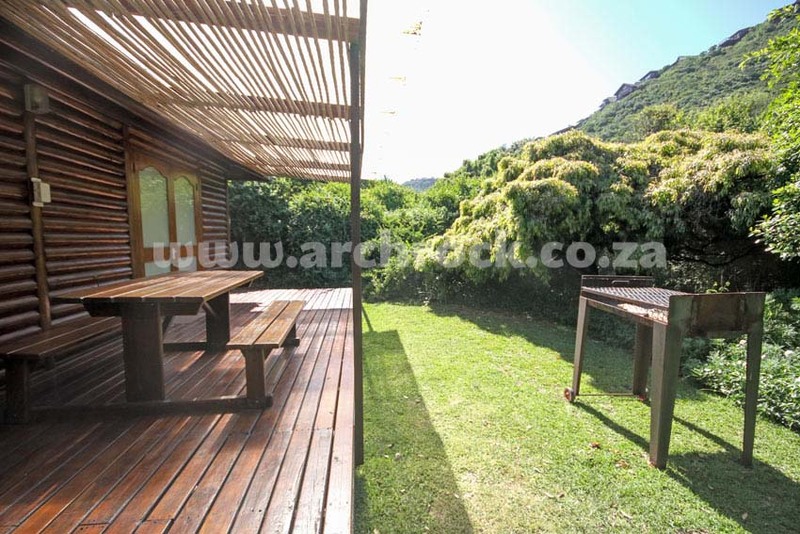 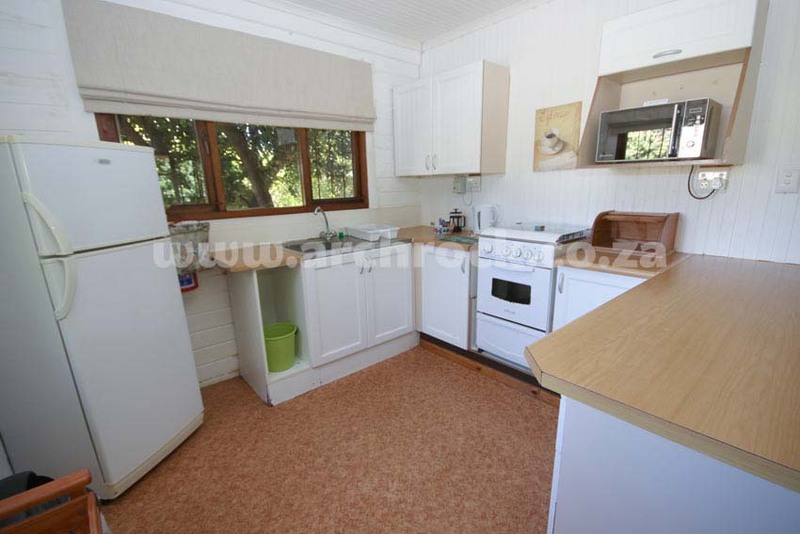 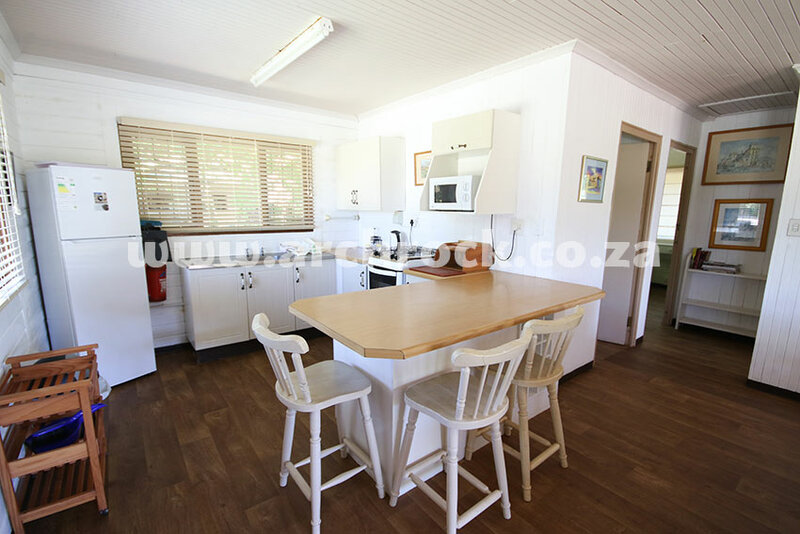 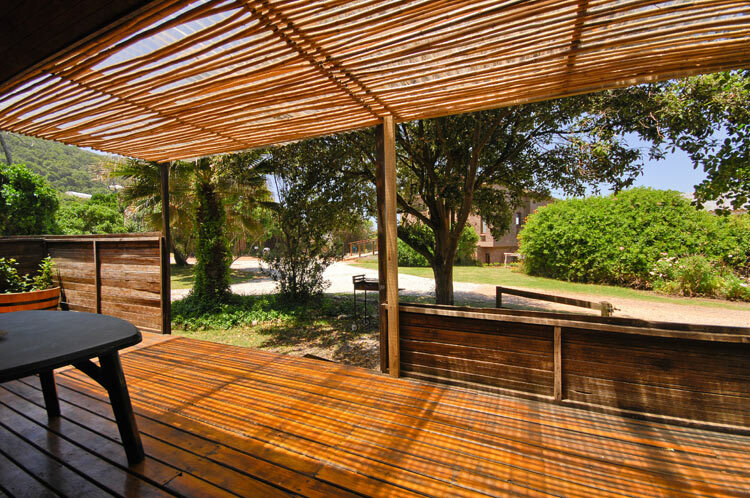 The open plan kitchen/lounge area also opens up onto the patio and lawn with mobile braai (BBQ).